No need to trek into the bush to sample South African wildlife or pack safari gear. 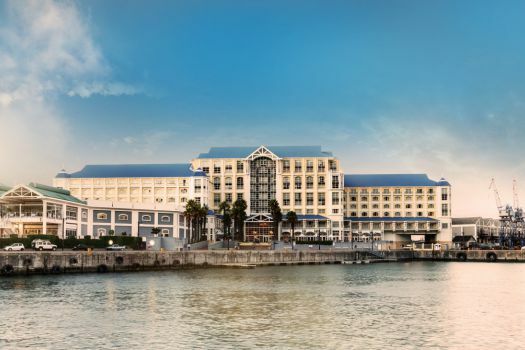 Camp at the posh IGLTA-approved Table Bay Hotel where you can relax at the Camelot Spa after a day in the urban wild. 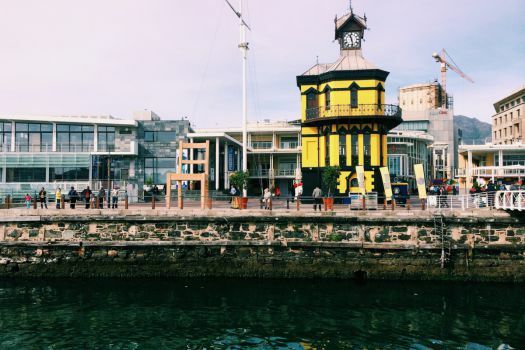 A stroll around the V&A Waterfront docks is all it takes to spot Cape fur seals, swimming and sunning. Other seal sightings can be had at the Kalk Bay fish market, on Duiker Island outside the Hout Bay Harbor and on Seal Island in False Bay. 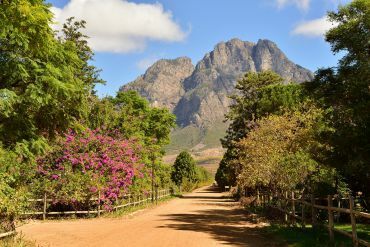 Travel south on M65 ("The Blue Route") about 30 miles (50 km) from Cape Town to the Cape Point Ostrich Farm, a 160-acre (65 ha) spread that can boast being the southern most ostrich farm and the home of Tom Thumb, the world's smallest ostrich. The farm has instructive guided tours of its 40 ostrich camps. 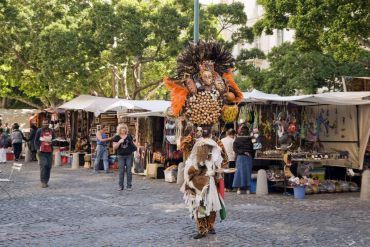 No ostrich rides but you can have your photo taken with one of the birds and check out the gift shop for decorative ostrich eggs, ostrich feathers and ostrich leather products including wallets and shoes. 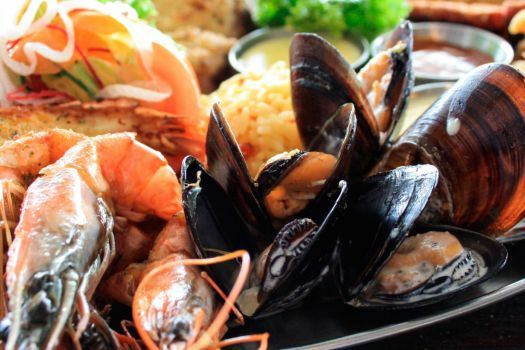 Pause for an ostrich steak and a local craft beer in the farm-style restaurant or proceed to the Cape Point Nature Reserve to view all manner of animals, birds and plant life. The farm is closed Thursdays. 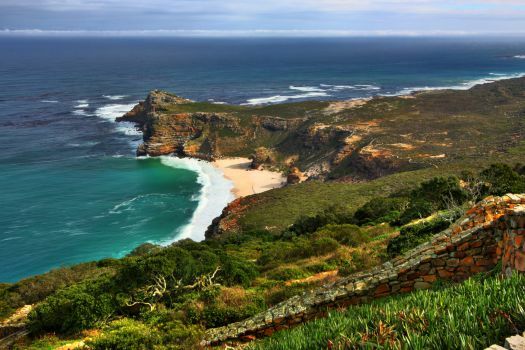 The Cape Point Nature Reserve has over 19,000 acres (7,750 ha) and a 25-mile (40 km) coastline to explore. Of course it can't all be done in a day. 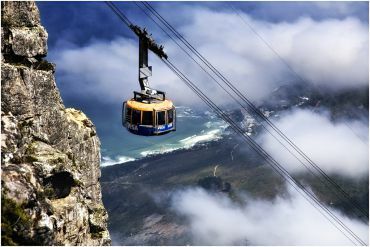 For a sampling, head directly to the Cape Point promontory where a three-minute funicular ride will deliver you to the lighthouse and a seafood restaurant if you skipped the ostrich steak. From the lighthouse, you can spot whales between May and November and dolphins all year. Wander the hiking paths among a bounty of exotic plants (some found nowhere else on earth) and birds of 250 species (including the endangered African black oystercatcher). Keep eyes peeled not only for the pesky Chacma baboons but also the Cape Zebra (smaller than other zebras) and antelope like klipspringer, steenbok and eland. In the rock pools along the beach, cape clawless otters play. Cross the peninsula to False Bay on your way back to Cape Town to see a rare colony of African penguins that decided to settle in small coves around Boulders Beach just south of Simon's Town in 1985. Nearly 3,000 now live in a natural habitat in close proximity to humans. You can spy on the secret life of penguins for free from a wooden walkway around Boulders park. For a closer view or if you want to swim with them, there's a small fee to enter Boulders Beach. At Simon's Bay Quay, settle in for sunset cocktails on the terrace at Bertha's. Simon's Town is also a great jumping off point for a sea safari which might be a two-hour voyage to Seal Island to view 75,000 Cape fur seals and two dozen seabird species, a half-day shark cage-diving trip or a multi-day Great White Shark excursion as far as Gansbaai, South Africa's shark cage diving capital. Depending on the season, you might even sight whales of various descriptions, dolphins and great white sharks at Seal Island. The best time for whales and sharks is during Cape Town's winter season (the Northern Hemisphere's summer). Explore your options at the pier just across from Bertha's. 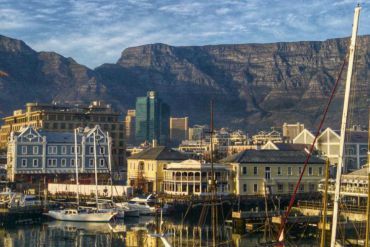 Back on the V&A Waterfront, you can still get close up and personal with aquatic wildlife without getting wet by scheduling a visit to the Two Oceans Aquarium during your stay. 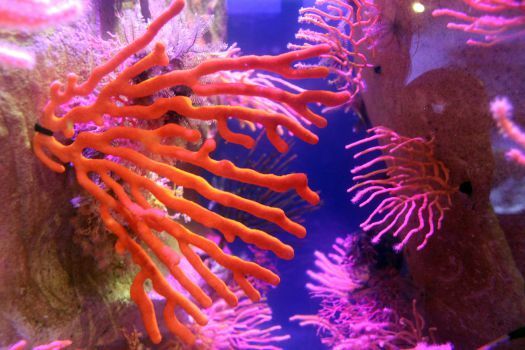 You'll need at least a half day to explore the exhibitions, which include Indian and Atlantic Oceans galleries, penguins and a kelp forest. The recently added I&J Ocean Exhibit, named after a fishing company, has a 10-meter (over 30 ft.) tunnel with a continuous viewing window. Want to swim with the fishes? Dives can be arranged even if you aren't already scuba certified.